Mexican judge delays ‘El Chapo’s’ extradition to U.S.
MEXICO CITY — A Mexican judge suspended the U.S. extradition process for drug lord Joaquin “El Chapo” Guzman over fears he may be put to death. The judge suspended extradition requests to California and Texas on Tuesday June 28 in favor of Guzman after the drug kingpin’s defense team filed two injunctions on Monday. Although the United States in May guaranteed Guzman would not face the death penalty, the judge cited a Mexican law in his ruling, stating that a defendant should not be extradited if there are risks to his “physical integrity.” In the injunctions filed, Guzman’s defense argued he could still be put to death in the United States. Guzman’s appeals against extradition could take one to three years to conclude. 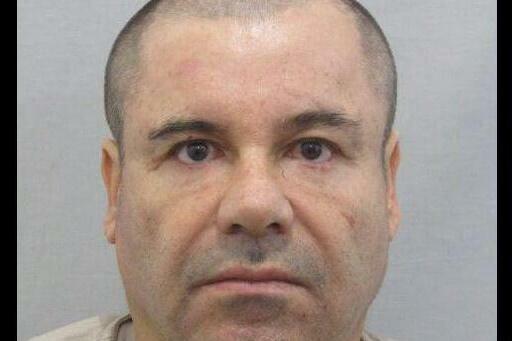 Mexico’s Foreign Ministry in May approved the United States’ request for extradition. The drug lord is now incarcerated in a high-security prison in Ciudad Juárez, Mexico, across the border from El Paso, Texas. Guzman’s defense has said it is prepared to take his appeals against extradition to Mexico’s Supreme Court. Guzman’s Sinaloa Cartel is credited with dominating the illegal drug market in nearly the entire United States. “El Chapo” — meaning “The Short One” or “shorty” — so dubbed because of his 5-foot-6-inch frame, was detained in Guatemala in 1993 and extradited to Mexico to face murder and drug-trafficking charges. He escaped from prison in 2001 by hiding in a laundry cart after bribing prison guards, and was re-captured in February 2014. He was captured in the city of Los Mochis in his home state of Sinaloa on Jan. 8 after escaping again, this time from Mexico’s Altiplano Federal Prison on July 11.